Hello! Thank you for visiting eBob Apparel. eBob's goal is to outfit its customers in well-matched, well-accessorized sportswear helping all golfers look great . We created eBob because we initially noticed junior golfers wearing more colorful outfits these days. But it's hard to find well coordinated, quality outfits and a reasonable price. eBob wants to be your source for great looking, matching outfits. eBob Apparel believes that the hat is the center of the golfing outfit. Hats are our flagship product. 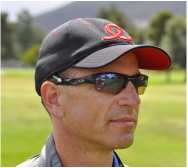 With a colorful, stylized, well thought out hat, you are on your way to becoming an eBobber (eBob's word for a guy or gal in a well dressed, well coordinated outfit who looks awesome and therefore feels great both on and off the golf course). Add a solid colored shirt and a well coordinated eBob belt and you are definitely expressing your colorful self! And for all you adult male and female golfers out there, eBob is for you too! Junior golfers aren't the only ones who feel great when they add a little style and flare to their golf game. 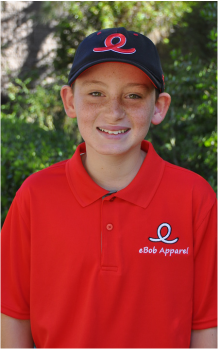 eBob's products come in a variety of sizes for golfers of all ages. We'll make you feel young at heart! Just ask the Executive Women's Golf Association (EWGA), a network of fourteen thousand lady golfers. eBob created custom, EWGA-logoed hats and visors for these ladies in a host of fashionable colors. In the future we will expand our product line to include shirts, socks, and more, but always making it easy for our customers to mix and match in a coordinated way. We hope to help those who want to add some style on the golf course. eBob Apparel provides a new, improved way of thinking about your clothing and ultimately, your golf game. We know how good it makes us feel when someone says, “Hey, nice outfit!” and eBob wants to make that happen for you too!